All entities have the ability to upload their Know Your Customer (KYC) docs to the HashLynx blockchain. This is a one time effort for entities or fund managers to upload their KYC documents. After this one time step is completed, the entity’s KYC status is instantly verified from the HashLynx blockchain and available on demand by all permissioned parties. 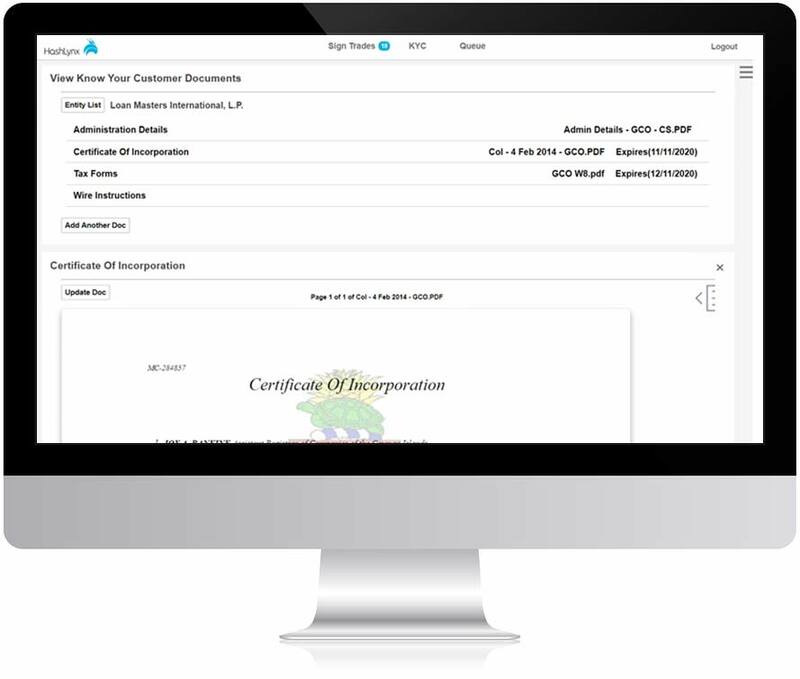 Documents can be assigned expiration dates and tracked to automatically notify the entities when the expiration date approaches and to update the expired documents. Wire instructions, admin details, tax documents, certificate of incorporation and any other related document required to onboard and authenticate counterparties can be uploaded.